through traditional and creative approaches to ritual, celebration, and prayer. singing and praying together with the HBT community. another, and together create a holy community. welcome non-members to get to know us over dinner. 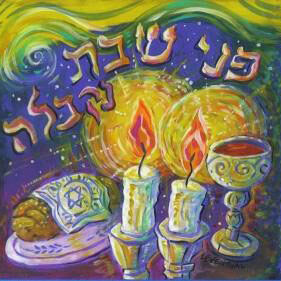 Looking for a spiritual Shabbat experience without all those words? Try out a Chanting Shabbat as a different way to access the many gifts of Shabbat: connection, rest, reflection, music and learning. At a Chanting Shabbat, Rabbi Penzner and Tracy Rich welcome you to a service built around a theme from the weekly Torah reading. Through song, meditation, Torah reading, and discussion, each person will be able to use the time for spiritual reflection, while remaining true to the basics of a Shabbat morning service. No experience with meditation or with Hebrew prayer is necessary; however, if you do have a practice, or you know the Shabbat service, you can deepen your knowledge and your practice in new/old ways.